Special Containment Procedures: No special containment procedures have been developed for this SCP. Currently our only contact with this SCP has been in the form of combat actions, and observations are limited. We have no capability to possess, nor do we wish to possess, SCP-215. However, its persistent involvement in our operations has warranted research at a distance. Description: SCP-215 appears to be a mummified human corpse. 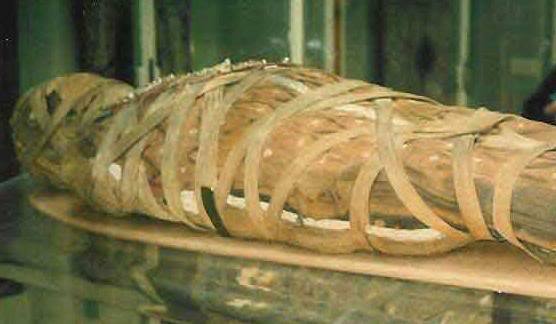 The preparation of this mummification does not adhere to modern preservation standards, nor traditional pre-Islamic Egyptian standards. Instead, research documents surrounding the artifact indicate a primitive method originating from the Iranian plateau circa 650 BCE. Rogue agent Bijhan has indicated that the human remains incorporated and/or composing this artifact may belong to the former Persian emperor Xerxes I (Khasyarsha in Farsi) or possibly even his father Darius (Daryoosh in Farsi). The exact Euclidian nature of this artifact is unknown. Although it does not behave as other SCP life-forms do or have done, there is a clear indication of animus within its behavior. SCP-215 appears to have motive and forethought, although this is hotly debated and contested within the research community. Some believe it is a function of its physics while others believe it to be cognizant. Regardless of its exact nature, the artifact has been present at several combat situations between SCP interested groups, and many containment breaches. In a recent interview I have managed to confirm from rogue agent "Bijhan" that the photograph now attached to this file depicts what we have nicknamed the "Oriental Mummy". According to now destroyed records from ████ █████████'s personal collection - to which I had access before his unfortunate demise - the photograph was taken digitally, and preserved on paper made in southern London circa 1887. The location appears to be the London Museum of History. How any of this is possible I'm not certain, but the extremely high levels of activity surrounding this artifact or person suggests to me that the Foundation should only have two goals in dealing with SCP-215: its complete destruction, or our complete avoidance of it.